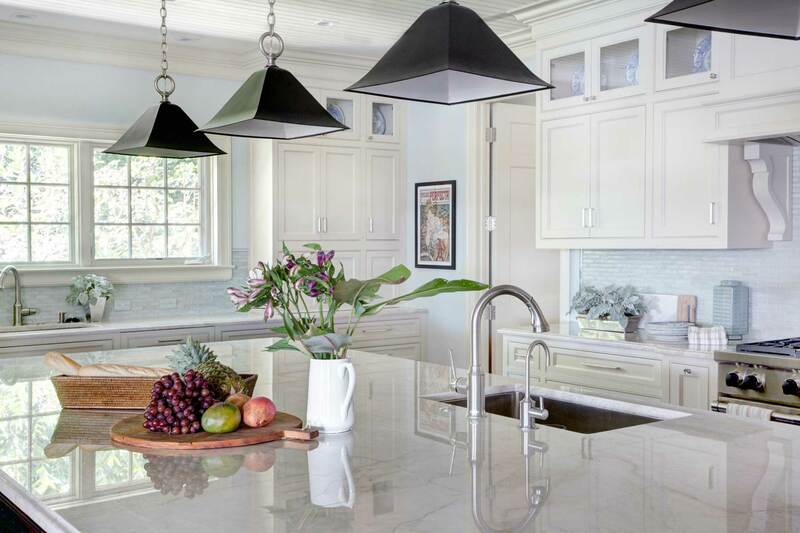 Architect: Rob Atkins Architecture Inc. 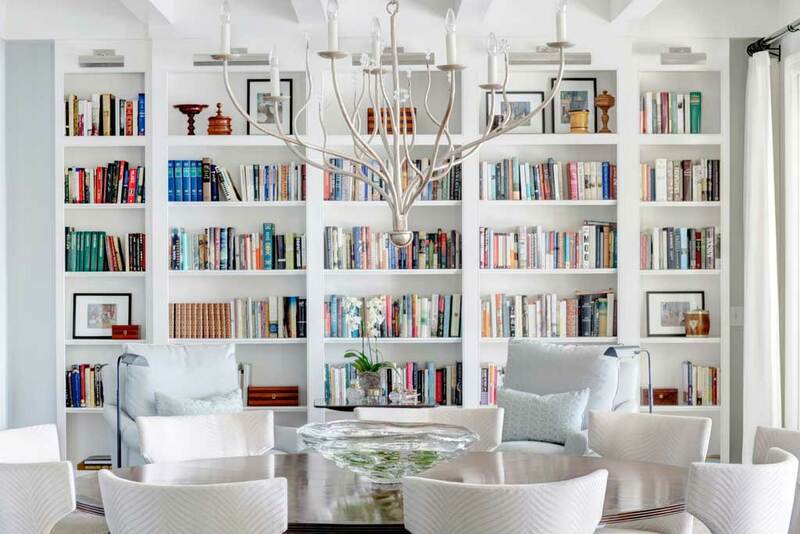 Located in the exclusive private community of John’s Island in Vero Beach, Florida, this exquisite estate serves as the winter residence of former New York City homeowners who had specific lifestyle criteria in mind when they approached Spectrum to design the interiors of their custom home. 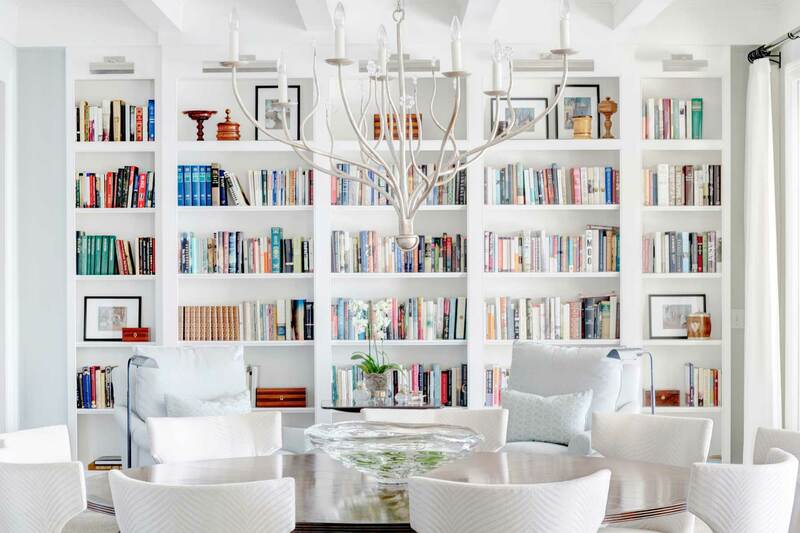 The goal was to create a casually elegant home that would encourage health and well being, with welcoming spaces for entertaining family and friends. Light, bright spaces and a cool color palette reflect waterfront vistas and the classic features of the estate’s architecture. 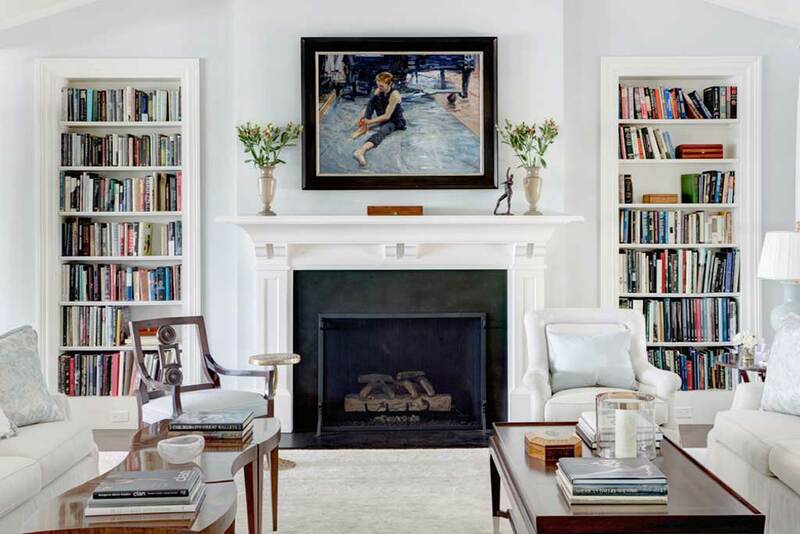 Carefully selected pieces of art and overflowing bookshelves signal the homeowners’ cultural interests as long-time supporters of the ballet and the arts. 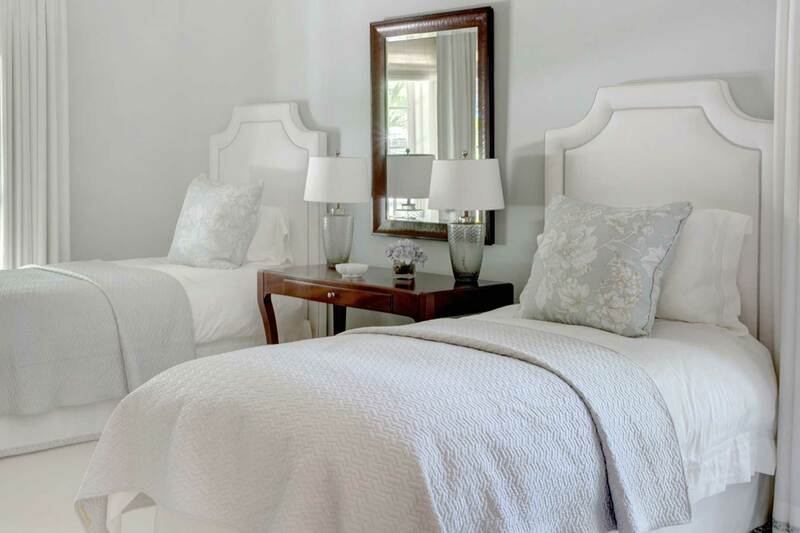 Rooms are designed to allow for multiple uses when entertaining large numbers of guests. A large round dining table accommodates up to 10 guests, while the cozy card room features a custom card table that converts from a square to a round top to accommodate an additional 6 guests for dining. An elegant, spacious kitchen is well appointed for the homeowners, who both enjoy cooking, and includes an oversized island for food prep along with ample room to entertain guests. 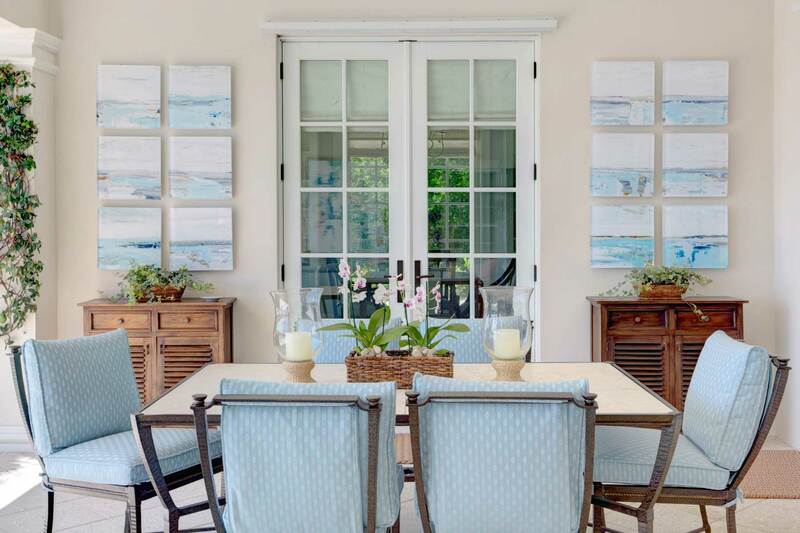 The loggia, overlooking a spectacular pool and spa, is another favorite space enjoyed by the homeowners and their guests, whether dining al fresco or simply enjoying vistas of the delightful tropical landscape and garden.